Embedding innovation into business structures is widely seen as vital for the future success of organizations. Innovation is enabling an extraordinary pace of change in the whole structure of who we are, how business works, and how society functions. “Innovation has become a flow, and must be a flow,” observes leading futurist Ross Dawson. By learning about the flow of innovation, organizations can turn the realization that we are living in a world of innovation into a positive impetus for change. Here are six key insights into the flow of innovation, drawn from a keynote speech that Dawson gave at the 2015 APIdays Sydney conference. “In a world in which we are moving towards a truly fluid economy, driven partly by powerful twin technological and social trends towards openness, networks are at the heart of everything,” Dawson says. In his book Living Networks, the futurist notes that we have shifted to a society where “value is created by the network, not by the organization”. Rich connectivity makes networks more pervasive, and it is in this connectivity that innovation becomes a flow. The present decade is full of exciting possibilities because the networks in which we are participating are “coming to life”, Dawson says, and mimicking the workings of our biological networks. What conditions are allowing networks to come to life? Our ability to “enable the connection, enable the flow, enable the innovation, enable that diversity of things coming together”, the futurist observes. The value of diversity is becoming increasingly evident in today’s world. Diversity is key because innovation is all about bringing together different directions and perspectives that have not been connected before. The 1993 Nobel Prize Winner for Chemistry, Kary Mullis, pointed out the value of innovation by recombination, stating, “I put together elements that were already there, but that’s what inventors always do. You can’t make up new elements, usually. The new element, if any, was the combination, the way they were used.” The moral of the story: a team with a broader range of experiences is more likely to challenge conventional wisdom and appreciate the innovation potential of new developments. Dawson distinguishes five main domains in which business innovation can be applied: the product or service, marketing, processes, the organization, and the business model. While innovating at each level is required, higher-order innovation is more likely to be repeated and to reap the biggest returns. This is partly because traditional, inflexible organizational structures depend on habits that reinforce the existing business model, as Rita Gunther McGrath observes in Harvard Business Review. Therefore, many organizations need to revise their structures and business models if they want to keep pace with change and reinforce innovation. 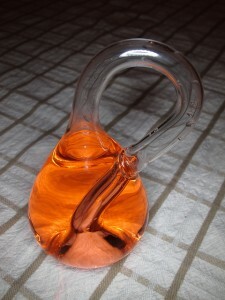 Picture an organization as a Klein bottle (left), an object whose inside and outside have the same surface. 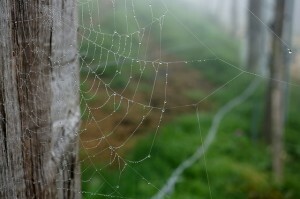 In a similar way, an organization’s internal and external networks must be integrated. This analogy shows that the dividing line between the outside and inside of an organization is increasingly fluid. Part of this fluidity is due to open data, says Dawson. He cites Amazon as a prime example of a company that harnesses platform thinking to open up its organizational boundaries. Amazon’s founder and CEO, Jeff Bezos, gave all of his teams a mandate: to expose their data and to ensure that their interfaces are externalizable. Employees were told anyone caught breaking these rules or communicating outside the interfaces would be fired. Business is being shaped by a fundamental, ongoing trend towards openness. This trend is derived from a virtuous cycle where social attitudes shape technology, which in turn shapes social attitudes. Dawson explains that today’s leaders must manage three layers of information inside organizations: proprietary data, information shared with trusted partners, and information thrown open to the world. “There are massive risks to not taking action, not exposing information,” he warns. Organizations who cannot decide what information should be available and what should not are being left behind. One of the most important messages from Dawson’s APIdays keynote was that “Organizations cannot stand alone. They must be able to create value across systems.” The notion of the business “ecosystem” is signalling a change in strategy: a movement from value creation inside the organization to value creation across a broader space. To succeed in this transition, leaders must realize that they cannot capture all the value for themselves, or their organizations will erode. This is because today’s networks are created not only for the creators, but also for the broader community. The only organizations that will fully develop the flow of innovation will be those that allow sufficient value creation for other participants.